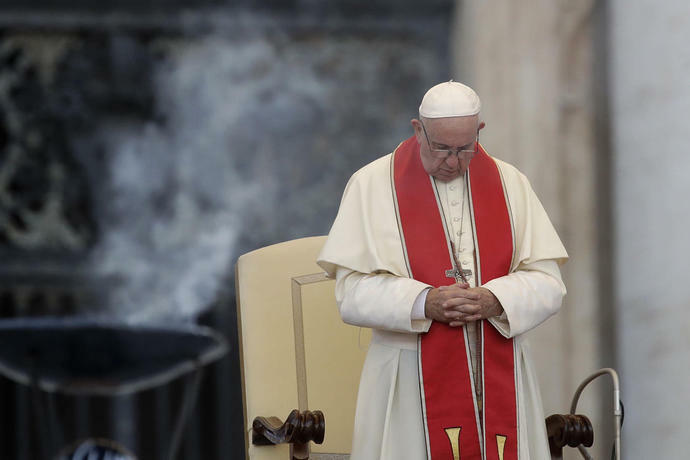 FILE - In this file photo dated Tuesday, July 31, 2018, Pope Francis prays during an audience in St.
VATICAN CITY (AP) - Pope Francis has decreed that the death penalty is "inadmissible" under all circumstances and that the Catholic Church must work to abolish it, changing official church teaching to reflect his view that all life is sacred and there is no justification for state-sponsored executions. 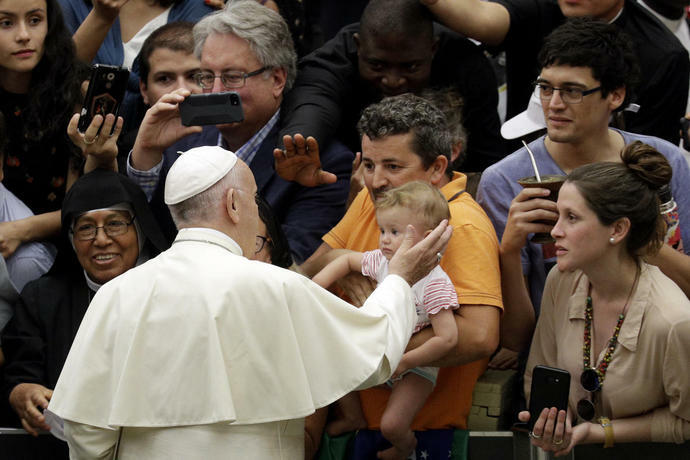 The Vatican said Francis had approved a change to the Catechism of the Catholic Church - the compilation of official Catholic teaching - to say that capital punishment constitutes an "attack" on the dignity of human beings. In an accompanying letter explaining the change, the head of the Vatican's doctrine office said the development of Catholic doctrine on capital punishment didn't contradict prior teaching but rather was an evolution of it - a defense to fend off critics who have already accused the pope of heresy for challenging past doctrine on capital punishment. Francis is not alone. Perhaps the most famous Roman Catholic anti-death penalty campaigner is Sister Helen Prejean, whose book "Dead Man Walking" - about her spiritual ministry to a man on death row - helped fuel opposition in the U.S. to capital punishment.